The Catalan government are investigating on the assumption that two other deadly events, a terrorist incident in the seaside resort town of Cambrils and a house explosion farther down the coast in Alcanar, were linked to the van attack in Barcelona carried out by the Islamic State terrorists. The region's Interior Minister Joaquin Forn said that the Cambrils attack "follows the same trail. There is a connection", as reported by the local media. He did not explain what connected the attacks. He confirmed the driver in the Barcelona attack remains at large. The police force for Spain's Catalonia region confirmed that four suspects were shot dead, and a fifth, who was wounded and arrested, has since died, during the anti-terror operation in the resort town of Cambrils and the explosive belts they were carrying have been detonated by the force's bomb squad. Six by-standers were wounded, one critically and another seriously. A police officer was also lightly injured in the counter-terror operation. The ISIS has claimed responsibility for the attack, which killed at least 13 persons and left around 80 persons injured. One of the suspects involved in the Barcelona attack was found dead in a car three kilometers from where police officers tried to stop him by firing at the vehicle he was in, reports El Pais. 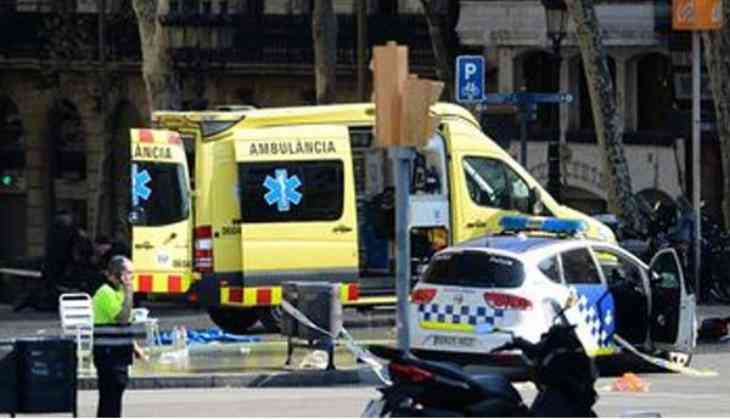 Two suspects, one from Morocco, one from the Spanish enclave of Melilla, were arrested in connection with the Barcelona attack, Catalan Police Chief Josep Lluis Trapero said, CNN reported.